Thanks to our major 2015 sponsors for their continued support! As we all get ready to celebrate Thanksgiving with family and friends, the Woodstock Film Festival would like to give thanks to all those who make the festival possible year after year. The wonderful staff, interns,volunteers, gracious hosts, our incredible sponsors, all the supporters, participating filmmakers and industry members, and the audiences who attend from near and far. Thank you for being a part of the Woodstock Film Festival. We couldn’t do it without you. We also want to take a moment to give thanks for the good fortune and many opportunities we have been blessed with, especially in these times, when so many around the world are faced with daily struggles resulting from war, terrorism, poverty and hunger. We’re so lucky to live in such a beautiful and bountiful area and proud to be affiliated with many board members and sponsors whose generosity is matched with social consciousness. On June 4, 2016, join us at one of Ulster Counties most beautiful homes, overlooking the Ashokan Reservoir, as we honor our fifth Spirit of Woodstock Honoree. The Spirit of Woodstock Award celebrates the roots of the Hudson Valley — its natural beauty, iconoclasts, art, culture and the river that flows through and connects it. It is an annual award given to individuals who have made significant contributions to the Hudson Valley in the areas of arts and culture, politics, innovation or economic development. Previous Spirit of Woodstock award honorees were Woodstock concerts promoter Michael Lang, Congressman Maurice Hinchey, legendary musician Levon Helm and innovator, entrepreneur and philanthropist Mark Braunstein. Joy Buran + Noelle Melody created the 2015 Woodstock Film Festival poster (still available online) and trailer, not to mention that they’ve screened several of their films with us over the years and made other outstanding trailers for us. In short, they are amazing, and now they have just illustrated "The ABC's of ATX," a children's book written by Kelly Sharp. Joy + Noelle are illustrators, animators, and, as it happens, identical twins. They both earned BFAs in art from Pratt Institute. Their thesis film was their first collaboration; since then, they've made short films, commercial animations and children's books. 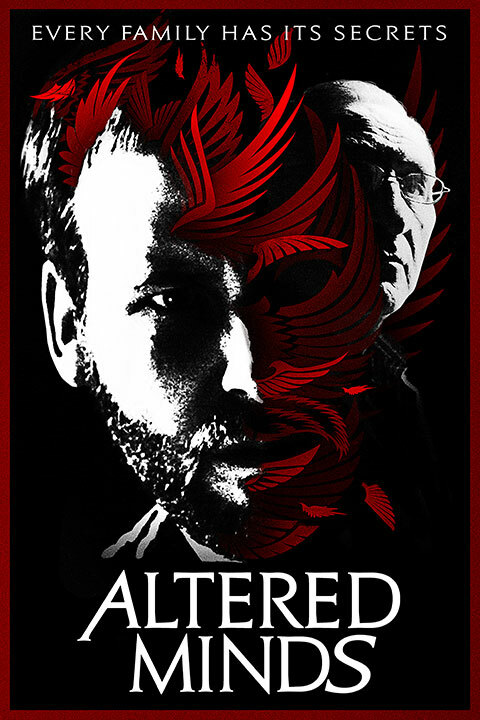 ALTERED MINDS (formerly Red Robin), which screened at the 2014 Woodstock Film Festival, opened in ten cities and on VOD on November 20. During the 1960's and 70's there were reports of the U.S. government conducting mind altering experiments on its citizens - acts where the lines of science fiction and reality became blurred. Inspired by these events, Altered Minds harnesses the talents of an all-star cast, including Judd Hirsch as Dr. Nathaniel Shellner. Shellner , a Nobel Prize winning psychiatrist, (who's dying of cancer) has come under the scrutiny of one of his four children (Tommy). He believes his father conducted psychological experiments on himself and his siblings. Is the good Dr. a monster? 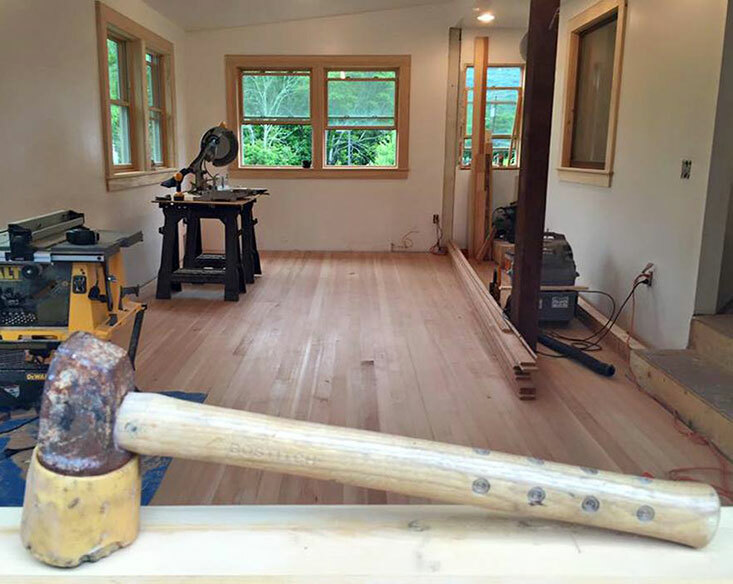 Is the family's house a torture chamber? Are Tommy's visions fragments of his own mental instability or is it PTSD (Post Traumatic Stress Disorder) left over from his childhood? Congratulations to Cari Joji Fukunaga for the five well deserved Spirit Award nominations for his remarkable BEASTS OF NO NATION. If you haven't seen it on Netflix, make sure you do. Fukunaga won best student short at the 2004 Woodstock FIlm Festival where he world premiered VICTORIA PARA CHINO. He feature films and TV work (SIN NOMBRE, JANE EYRE, TRUE DETECTIVES) have shown incredible versatility and depth. BEASTS OF NO NATION, is up for Best Feature, Best Director (Fukunaga), Best Actor, Best Supporting Actor, Best Cinematography (also Fukunaga), and Best Editing. Todd Haynes‘ CAROL received six Spirit Award nominations, with stars Cate Blanchett and Rooney Mara both receiving nods for Best Female Lead. The critically lauded LGBT romance, which is produced by Woodstock Film Festival advisory board member and 2007 Maverick Award Honoree Christine Vachon, also scored nominations for Best Feature, Best Director, Best Screenplay, and Best Cinematography. Haynes’ presented the US Premiere of FAR FROM HEAVEN in 2002. The movie, which starred Julianne Moore, Dennis Quaid and Dennis Haysbert featured native Woodstocker, Lindsey Andretta as one of the children, and the music score was composed by Woodstock’s legendary Elmer Bernstein. For more about CAROL, click here. From Woodstock Film Festival friend and alumni comes THE LARRY FESSENDEN COLLECTION. In this box set, Fessenden brings together four of his films, in HD for the first time, along with both brand-new and vintage bonus features including short films and music videos including NO TELLING, HABIT, WENDIGO, and THE LAST WINTER. WENDIGO, starring Patricia Clarkson and Jake Weber was filmed in the Hudson Valley and won the Maverick award at the 2001 Woodstock Film Festival. THE LAST WINTER, starring Ron Perlman and James Le Gros, screened at the 2006 Woodstock FIlm Festival. Join artist Mark Hogencamp at a screening of the 2010 Woodstock Film Festival Best Documentary winner, MARWENCOL by Jeff Malmberg. After recovering from a brutal attack that left him in a coma, Mark Hogencamp builds a miniature World War II-era town in his backyard and creates photographic stories of its intrigues. The documentary made recent news when Variety announced that Steve Carell will star in the Robert Zemeckis’ adaptation of Jeff Malmberg’s 2010 documentary. The screening will be followed by a book signing of the recently released book "Welcome to Marwencol.” The 278-page hardcover art + storybook about Mark Hogancamp and his imaginary World War II—era town of Marwencol. The book features nearly 600 full-color images by Mark Hogancamp and covers Mark's story, an inside look at his town and process, and eight photo stories. 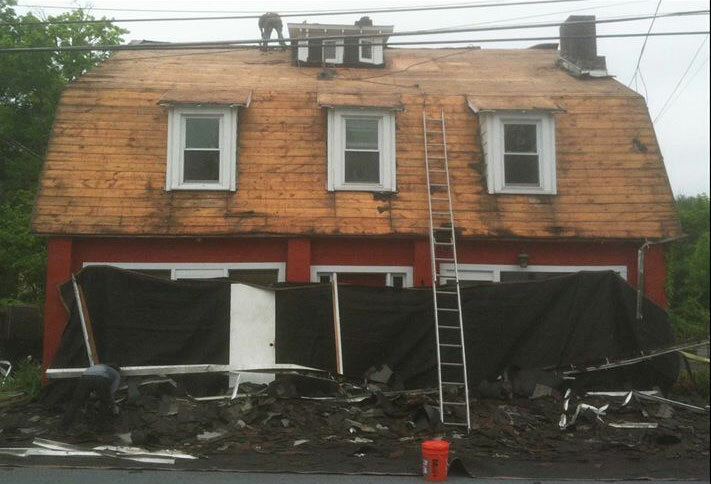 68 Partition Street in Saugerties. The film follows an immigrant from Burkina Faso in search of a way to provide for his sister and his daughter. He adapts to life in Italy, but when tensions with the local community rise, things become increasingly dangerous. Carpignano joins a very long list of accomplished filmmakers (Cary Fukunaga, Leah Meyerhof, Benh Zeitlin, Luke Metheny, Rob Meyer, Pamela Romanowski) who have screened student shorts at the Woodstock Film Festival. WFF has screened three shorts by Jonas including A Chjàna, Bayou Black, and Resurrection Man. Kitana Kiki Rodriguez, James Ransone and Mya Taylor in TANGERINE, a Magnolia Pictures release. Photo courtesy of Magnolia Pictures. TANGERINE, directed by Sean Baker, just walked away with 4 Spirit Award nominations including Best Feature, Best Director, Best Actress and Best Supporting Actress. The film which was executive produced by Jay and 2014 WFF Fiercely Independent Honoree Mark Duplass, bursts off the screen with energy and style. A decidedly modern Christmas tale told on the streets of L.A., TANGERINE defies expectation at every turn, and it was shot on an iPhone. Director Sean Barker won the Lee Marvin Award for best feature film for PRINCE OF BROADWAY at the 2008 Woodstock Film Festival. His film STARLET screened at the 2012 Woodstock Film Festival. THE WALK will screen at The Rosendale Theatre Collective November 27-30. We also want to thank all those who helped us with our FILM CENTER Capital Campaign over the past year. It took 15 years and the support of many to make this dream a reality. The film center now serves as administrative offices, a place for meetings, casting calls and it's home to the Woodstock Film Festival Box Office & Souvenir Store, as well as the base for the Hudson Valley Film Commission.